The Kaduna State Governor, Mallam Nasir El-Rufai has declared that state governments in the country were broke. This was as he disclosed that governors of the 36 states are putting machinery in place to access a $3.25bn loan from the World Bank in a bid to survive the current economic downturn in the country which has made it difficult for some of them to pay workers’ salaries. 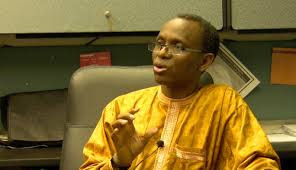 Briefing State House Correspondents about the decision to approach the World Bank at the end of a meeting of Nigeria Governors’ Forum at the Presidential Villa, Abuja, El-Rufai explained that the loan being sought after is capable of turning around the fortunes of the states. “The World Bank portfolio for the states for this year is $4.25bn and out of that, $3.25bn is lying there undisbursed, which means the states are not meeting their conditions or not moving fast enough to draw this $3.25bn. “You know $3.25bn can do a lot to improve the lives and livelihood of our citizens in the states, and the World Bank has expressed its flexibility to look into the challenges we are facing as well as the procedure to ease accessing this money. The World Bank wants us to withdraw the money as quickly as possible so that our citizens will get the benefits from health to education, agriculture and the revival of livestock and water supply. “These are the areas for which most of these funds are dedicated and we all need the money, because we are all broke. So, we are going to work very hard to try to get the money in trust,” he explained.